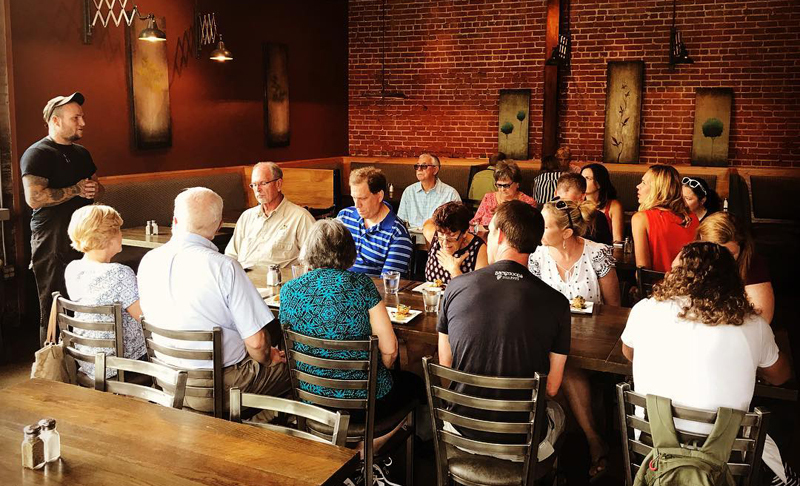 Asheville Food Tours works with the best venues in Downtown and West Asheville! We would literally be nothing without our Partners, and so we thank and appreciate them very much! An innovative, daily changing global menu & cocktails served in a modest cinder-block building. The Admiral embarked not with a set course, but steered more in a general direction. In 2007, we aspired to create an unexpected restaurant that thrived on its talent and creativity. With the procurement of a modest cinderblock building on the wage earning side of town we succeeded in our goal – to serve an inventive cuisine without having to hold on to convention, all in an atmosphere that lacks the restraints of standard technique. We hope you find our décor timeless, our service gentle, and our cuisine inventive and delicious. Archetype Brewing offers flagship & experimental beers in a relaxed taproom with a family-friendly vibe. Top notch Belgian-Inspired beer in West Asheville, North Carolina. Craft beer brewed for everyone. We are a new brewery, with years of combined experience coming together, we strive to make the best, high-quality, creatively complex beers to stand alongside our flagships. So come join us for a beer, whether you’re a lover, a ruler, or an outlaw. There’s a beer for all types. 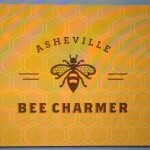 Asheville Bee Charmer is a locally owned company with a mission of connecting communities by offering customers small-batch, regional-based local and artisan honey as well as promoting artists’ unique, one-of-kind, bee-themed wares. Experience our nature inspired salt cave located in downtown Asheville. Our salt cave has an enriched microclimate, which allows the body and mind to gain relaxation, balance, and healing. We also offer a variety of therapeutic massage services, all with a touch of Himalayan salt. We invite you to join use for some deep relaxation and peace. An American restaurant and bar focused on regional ingredients and preparations in the Appalachian South led by Chef Steven Goff. Walk ins are always welcome. Reservations of six or more can be made by calling the restaurant. Our bar is open late nights serving tasty food as well as wine, beer and delicious cocktails seven nights per week! Our chef inspired beers are unique takes on familiar styles with an emphasis on balance. We take inspiration from nature, travel, music, and the farmers in our back yard to bring you new and exciting flavors and recipes. We guarantee a new and tasty experience with every pint. Our cuisine is elevated and exciting. Our seasoned chefs are forging relationships with local farmers to bring fresh local ingredients to our tables. Each dish is designed around our love of beer — whether it’s beer infused ingredients or the perfect pairing compliment. Our taproom showcases some of the best beers Western North Carolina has to offer, and of course, a line-up of our own tasty brews. Meet us on the deck or inside for drinks and small plates. In the heart of downtown Asheville, Blackbird features vibrant cuisine and world class desserts in a lively atmosphere – Modern Southern with a nod to tradition. Blue Dream Curry House is an international journey of flavor. Serving curries from around the world, and local beers at an affordable price using high quality, fresh and locally sourced ingredients. We will always pay a living wage to our employees and take care of the Earth, while supporting the local economy of Asheville, NC in every way possible. 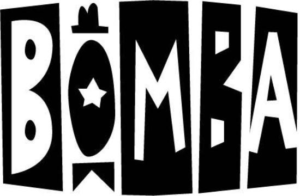 The newest venture from Hector Diaz, Bomba is a small bites, quick service cafe and bar with a European feel! Also a scenic outdoor patio in the heart of Pack Square. Enjoy authentic Caribbean food with traditions of English, French and African inspired dishes including rotis, West Indian curries and island craft cocktails in Asheville. Stylish hangout at the AC Hotel serving a locavore menu of small plates, craft beer & cocktails. Within walking distance of popular downtown attractions, Chestnut features world class entrées, served by warm and gracious hosts, in an inviting setting that is perfect for a busy lunch on the go, or a special meal to top off your day. Cúrate Tapas Bar is a Spanish tapas restaurant in Asheville, NC, led by Chef Katie Button. Make reservations to try authentic Spanish tapas! Cúrate’s bar de tapas menus change seasonally and feature a variety of authentic Spanish tapas, wine, beer and cocktails created by Chef Katie Button. Cheerful spot for Southern fare with all-day breakfast, meat & two plates, local brews & wine. Farm Burger wants you to think about your burger – what it is and where it’s from. Our burgers are made from 100% grassfed beef that is dry-aged and ground fresh. Our cows are raised on the sweet grasses of the southeast, and never fed antibiotics, hormones, or grain. Our menu is seasonal and sourced from local farms. Our space is convivial and comfortable – because eating is a celebration to be shared. Our food makes ethical eating easy. Farm to Factory. Sourcing Is At The Heart Of Everything We Do. Bean to Bar. In our small factory in the mountains of Asheville, North Carolina, we roast, crack, winnow, grind, conche and temper chocolate in small batches. Bar To Bakery. We make magic in our pastry kitchen. Asian flavors meet Appalachian ingredients at this relaxed haunt with outdoor seating. Gan Shan West focuses on a diverse array of noodle dishes in a relaxed neighborhood environment. Dine in, eat at our outdoor courtyard, or take your food to go. Our menu changes seasonally (or sometimes simply inspirationally,) while the Gan Shan commitment to a delicious, nourishing, and restorative food experience remains unwavering. 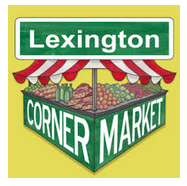 Lexington Corner Market is an upscale corner store in the heart of downtown Asheville, North Carolina on the corner of College Street and Lexington Avenue. The market has essentials including grab and good food, beer, wine, tobacco, groceries, and basic convenience items. 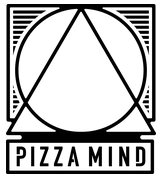 Winner: Asheville’s best pizza, 2017. Serves lunch and dinner. Catering, Delivery, Good For Groups, Good For Kids, Outdoor Seating, Take Out, Walk-Ins Welcome. At Modesto we work within certain critical parameters – a “fine dining” experience of value that anyone who wants to eat out can afford; beauty in all areas of cuisine and ambiance; food that is challenging, passionate, and delicious; and the paramount belief in health for our patrons, our employees, and our management. Food can be pushing the boundaries of cuisine, while also being health conscious and affordable! Low-key hangout serving bar food & Southern fare with a twist in casual digs with live music nights. We have created a menu using many local, regional & seasonal ingredients providing quality food in a casual setting. We use primarily locally sourced meats from Apple Brandy, Ashley, & Heritage Farms. We also use many products made right here in Asheville such as Smiling Hara Tempeh, Lusty Monk Mustard, Annie’s Organic Bread, Crooked Condiments, Geraldine’s Bakery, Gypsy Queen Falafel…We love to support our local economy! We love what we do and hope it is apparent in the food we serve. In our come-as-you-are atmosphere, we hope you will relax & enjoy! Here you’ll enjoy Chef Katie Button’s masterful American food creations, served small-plate style. Enhance the meal with our playful and original craft cocktails, distinctive wines and spirits from all over the world, and local draft beers. 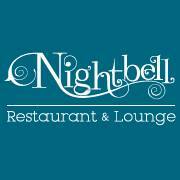 Finish with a decadent dessert for a truly unique dining experience.Nightbell is a member of Heirloom Hospitality Group, the family business that also owns and manages the nationally acclaimed Cúrate bar de tapas. At North Star Bakehouse in Asheville we create specialty cakes, pastries, and other goods fresh every morning and to order. Cozy bakeshop offering pastries, naturally leavened bread & other small bites in spare surrounds. European Pastries. Light Fare. Coffee, Tea, & Wine. PennyCup Coffee Co’s first free-standing cafe, located in the historic YMI Building. Whole Bean, Full espresso bar, light breakfast and light lunch items. Place for pizzas heaped with signature & create-your-own topping combinations, plus sandwiches. Relaxed haunt serving an eclectic Mexican menu with vegetarian & vegan options in an intimate space. The Rhu, from Rhubarb’s John Fleer, is a cafe, bakery and pantry that celebrates local foods and producers. Serving breakfast and lunch, The Rhu is the perfect place to grab a cup of locally roasted coffee and a Cruffin on your way to work, meet a friend for a leisurely lunch overlooking beautiful Church St, savor a cup of tea and an apple galette over a book in the afternoon, buy a loaf of house made Sourdough Levain and Looking Glass Creamery fromage blanc for your dinner party or pick up a locally handcrafted cutting board for a birthday present. Award winning chef John Fleer’s downtown Asheville restaurant serving farm-to-table Contemporary / New American fare, plus a weekly family-style dinner. 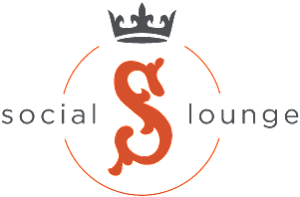 The term “social” stems from the Latin word socii, which means “allies.” No doubt you’ll gain a few of them when you patron The Social Lounge, where craft cocktails, local brews, and great food mingle in a lively, cosmopolitan environment. We offer an array of original craft cocktails blended from fine liquors and house-made elixirs, international wines, and an assortment of local beers on tap. Our food menu features cocktail-friendly small plates and bites to share. Strada takes the history of old family recipes and concepts and adds fresh ingredients. Strada also offers a full Italian bakery offering fresh baked choices daily. A stone oven was installed to bake the bread and pizzas for the restaurant to give it that fresh hearty taste. Sunshine Sammies opened in Asheville, NC in the summer of 2013. With a hand built solar powered cart full of cold treats, we hit the streets and found that we were not alone in our love for ice cream sandwiches! Today, you may find us at our Scoop shop, mobile solar carts or our vintage ice cream truck, Sunny! We are spreading the sweet love at farmer’s markets, local festivals, private events, and of course at our downtown location, 99 South Lexington Ave. We specialize in all things yummy including ice cream sammies, fresh baked goods, and more! 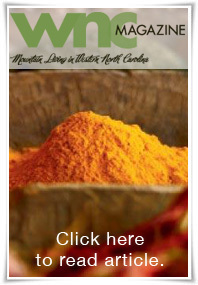 We offer the finest herbs, spices, teas, exotic rices and sea salts. We carry many hard to find spices and products you cannot find in your grocery store. We personally make sure our product is fresh, fragrant and of the highest quality. We package by the ounce, which allows you to experiment as you journey through our wide selection.We have prepared over 75 signature blends and rubs. Our unique blends are our own special recipes hand-mixed in our store to perfectly season your steaks, chicken, pasta, and vegetables or add incredible flavor to your dips and side dishes. We like to think that we make cooking both exciting and extremely easy. Whether it’s family dinner or a quick business lunch, Twisted Laurel has the fresh Mediterranean-inspired menu you’ve been looking for. With locations in downtown Asheville and Weaverville, you don’t have to go off the beaten path to discover consistently great food in an unbelievable atmosphere at a price that allows you to order dessert. The Underground Cafe with DoughP Doughnuts is located in the historic Downtown Asheville, NC Jackson Building. Serving breakfast, lunch, coffee and doughnuts. Chef Jay attended culinary school in New York City, and has brought his skills and training from being a professional chef in NYC back to his home town. Jay and his family are thrilled to be located in Downtown Asheville where they can serve and give back to the community they grew up in. Thank you to their family, friends and community for the continued support on this new venture. Urban Orchard Cider Company is a local, family-owned hard cider production company and tasting room located in West Asheville, North Carolina (and soon-to-be downtown location). Multi-time award winning cidery, our taproom provides: house-made and extremely delicious craft hard apple ciders, local craft beer, wine, and gluten-free/dairy-free/vegan snacks. Guests can always expect to find our three flagship hard apple ciders on tap with a rotating “Series” options, totaling eight or more that are seasonal/local ingredient driven; all Urban Orchard Ciders are naturally gluten-free. For those who don’t want to drink their cider on an empty stomach, Urban Orchard’s tasting room offers snack options such as meat & cheese plates, bruschetta, a variety of dips and baked goods from local purveyors. At WHIST, we offer a treasure-trove of delights located right in the heart of West Asheville! Come in & discover all we have to offer: unique greeting cards & gifts for all sorts of occasions & for nearly everyone on your list…perhaps even yourself! You never know what you’ll find at WHIST! The name White Duck Taco Shop originates from a nickname the Chef earned when she frequently got excited and talked too much to the kitchen staff. They called her “La Pata Blanca” which means White Duck.We take restauranting seriously and are Living Wage Certified for all staff from the front to the back. My name is Jill Worthy and my passion and craft is Baking. Some people read novels to relax, I read all about baking. Baking Science is my go-to novel. I love to experiment with different recipes for the same dessert to compare and contrast results between them. Then, I tweak and manipulate the ingredients and methods until I arrive at my best version for that recipe. I am introducing my vision to you with my signature gourmet cookie line… The best of both worlds: Chocolate Truffles and Cookies! 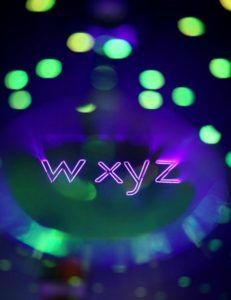 WXYZ® bar serves a varied and seasonal beer selection, including microbrews and favorites from local breweries. 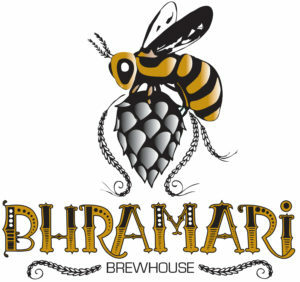 The list is ever changing, but a few must-try breweries are: Asheville Brewing Company, Highland Brewing Company and French Broad Brewery. Our Asheville bar also offers an extensive wine list, with more than 40 hand-selected varietals to choose from, by the glass and by the bottle. Looking for a nighttime nosh? Sample straight from the bites menu, starring small plates like the fromage tasting plate, crisp flat breads and a panini fromage (fancy grilled cheese for grown-ups). Embrace your inner sweet tooth with our cheese cake or truffle tasting from the French Broad Chocolate Company.